“In April 2009 Trevor and Joanna Woods opened the doors to Gallery Plus in Wells-next-the-Sea with a strong ethos to offer the very best in original prints and paintings, contemporary glass, and ceramics. They have stuck firmly to this principle and it has rewarded them with an enduring reputation. 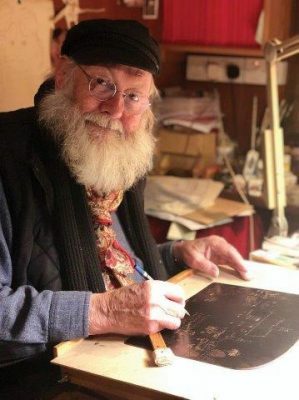 Graham Clarke – artist, author, humorist, and one of Britain’s most popular and best-selling printmakers – was the first artist approached to exhibit in the gallery. Since then their relationship has blossomed, with a superb etching of The Quay (Wells) produced in association with the gallery in 2010 and a further successful exhibition in 2016.